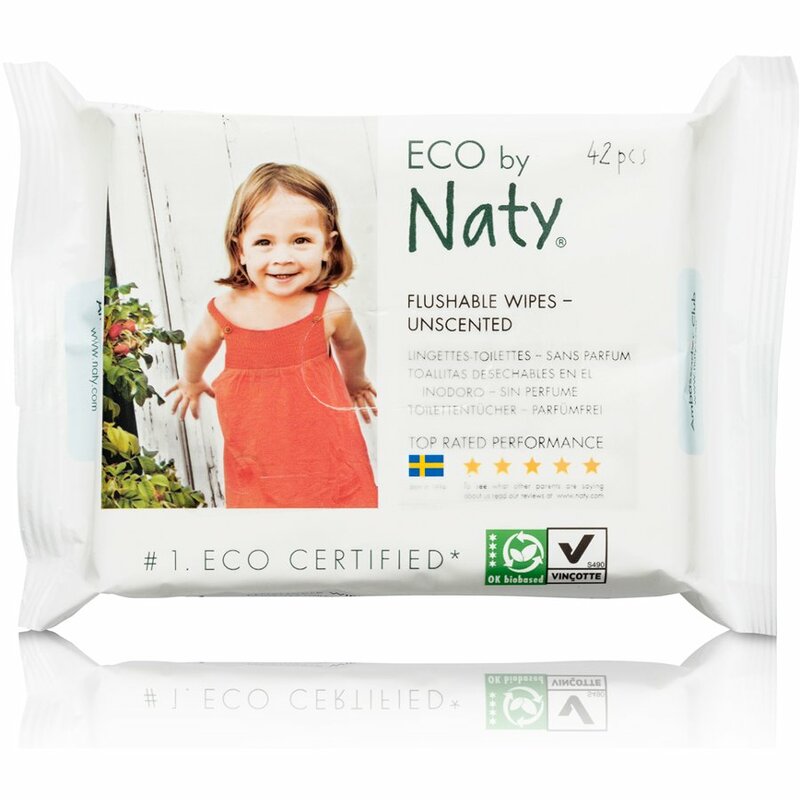 Eco-friendly flushable baby wipes from Eco by Naty containing natural aloe vera making them gentle against your baby’s sensitive skin. 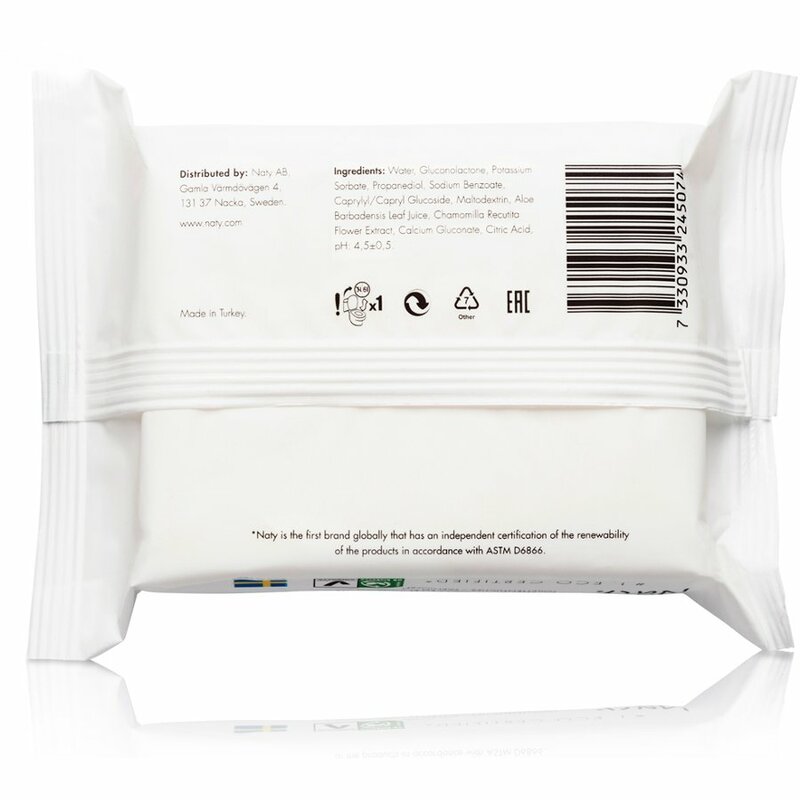 The extra thick wipes are made of harvested unbleached wood pulp and moistened with purified water, completely free from chlorine, alcohol, parabens, silicone and phenoxyrthanol while also being biodegradable and approved with the Swedish Society for Nature Conservation. 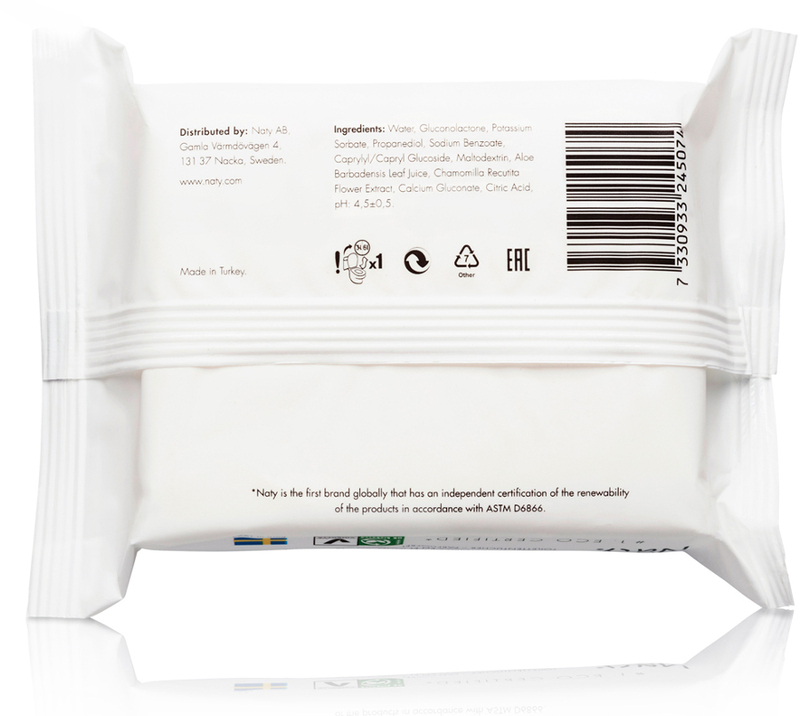 These wipes are perfect for potty training, you can teach your children the importance of using eco-friendly products at the same time. Pack contains 42 wipes. 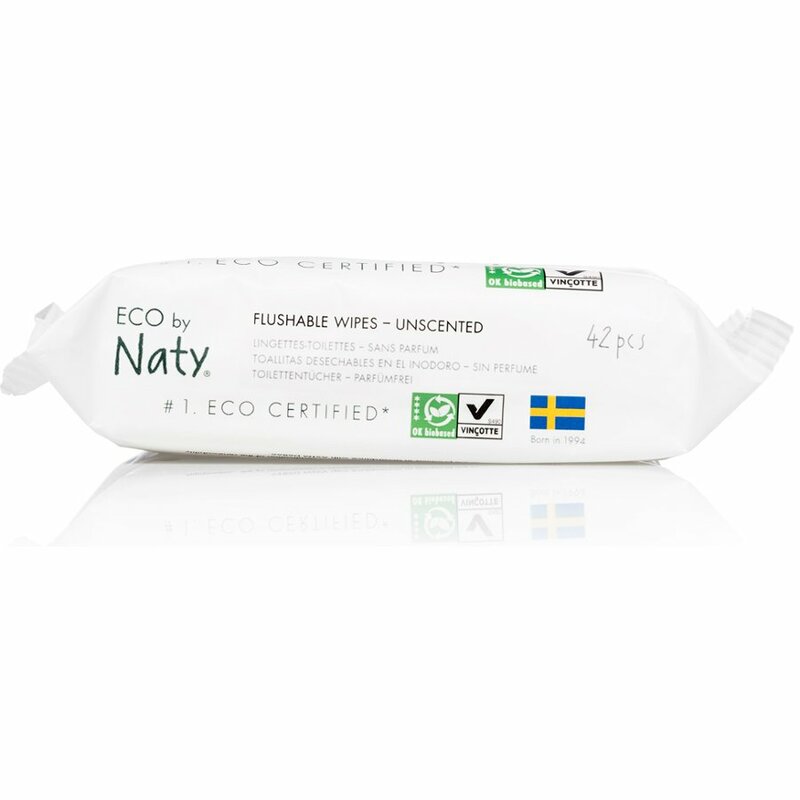 The Eco by Naty Unscented Flushable Wipes - Pack of 42 product ethics are indicated below. To learn more about these product ethics and to see related products, follow the links below. they tear easily when taking out of packet but I'm just happy to have found them! My husband is severely disabled and needs help with toileting. He also has very vulnerable and sensitive skin. These are perfect to help keep him clean and minimise and damage to his skin. 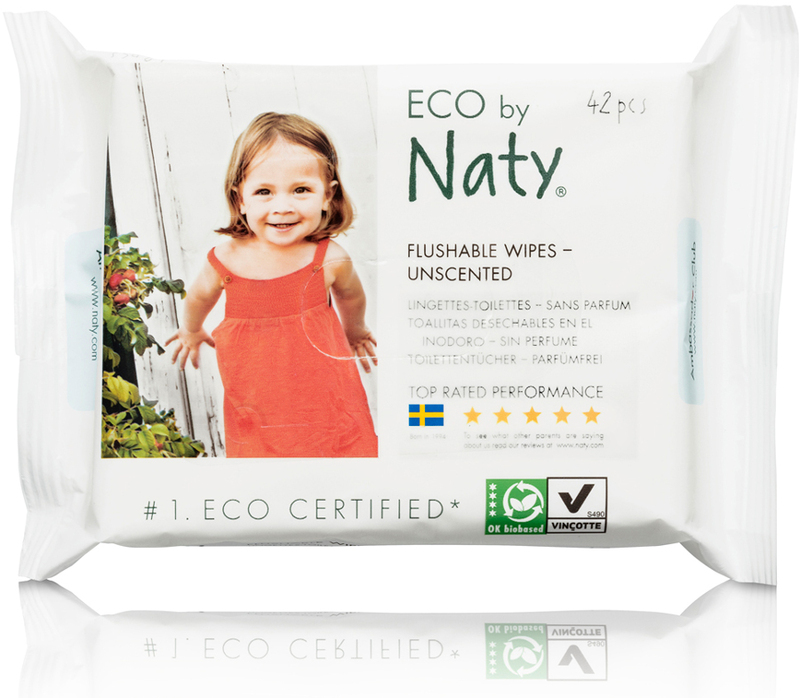 There are currently no questions to display about Eco by Naty Unscented Flushable Wipes - Pack of 42.